On your Marks, Headsets, Play!!! What do you get when you blend 3 Hot verses, 2 Lyrical geniuses and 1 out of this world beat? You REALISE it's a taste of heaven Yeah? 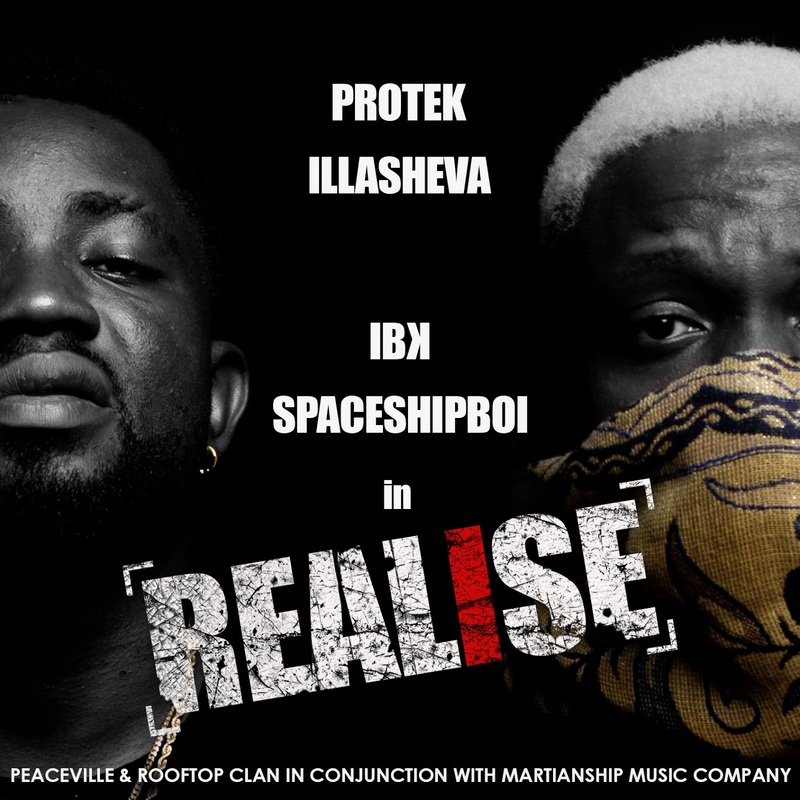 On his follow-up to the massively successful tune 'AMEN', Protek illasheva teams up with fellow lyricist and Producer IBK Spaceshipboi to bring you ''REALISE''. On the IBK Spaceshipboi produced track, these 2 emcees bring a record that every fan of Rap and good music will pay attention to. Ladies and Gentlemen it's time to REALISE, This is Greatness!! !